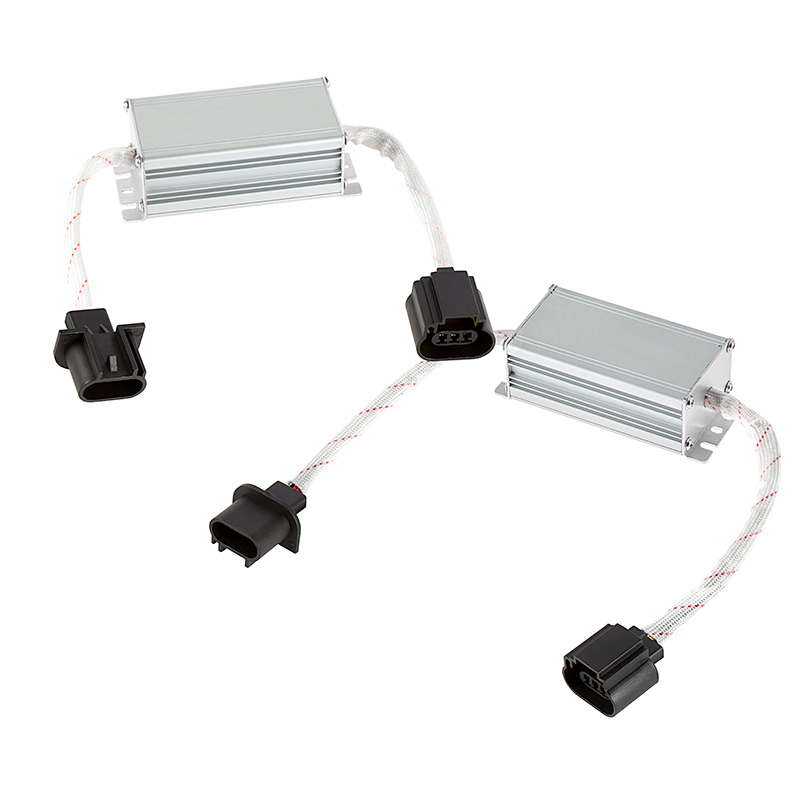 Headlight LED load resistors prevent flickering and "bulb out" error messages. These 6-ohm 50-watt load resistors compensate for the low power draw of H13 LED bulbs so that they can communicate properly with your vehicle's computer system. They can also be used in conjunction with standard LED bulbs for compatibility in CAN Bus systems. 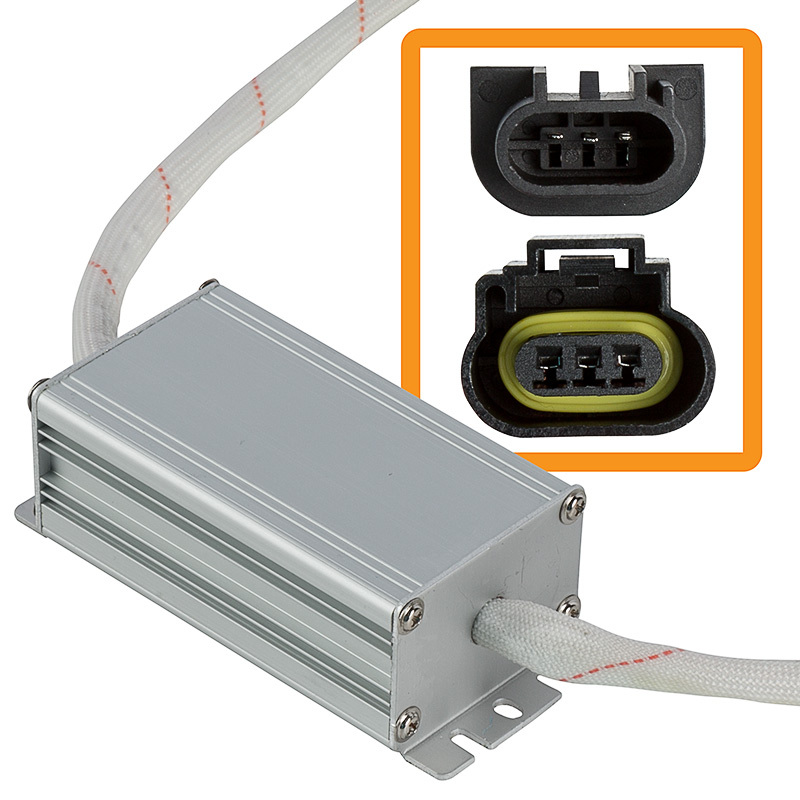 The plug-and-play LED load resistors easily install in line with your vehicle's factory bulb sockets and your LED bulbs. Price per kit (2 LED load resistors). On any modern car, you will need the load resistors at some point. Oddly enough, LED headlights may work perfectly right out of the box without the load resistors. Unfortunately, after a few weeks/months, the lights may start flickering or changing from dim to bright by themselves. I called superbrightleds.com's support when this happened to me. They assured me that this was relatively normal - in their defense, the website did recommend the load resistors when I ordered the headlamps in the first place. They looked up my order and got me the right part ordered (under $20). Everything went back to normal as soon as the load resistors were in place. I was grateful because the LED headlamps really changed the drivability of my car at nighttime. Apparently, after extensive research, the consensus is that the OEM lights on my car are pretty much there just because it's illegal to make cars without headlights. Now, I can see at night and my car can be seen by others. For some strange reason after installing he headlights, the high and low beam were opposite meaning I had to have the high beams on to obtain the low beam light. Additionally, there seemed to be a reduction in power when both the headlights and fog lights were on. After installing the resistor, no more problems! Everything works as it should. The biggest issue with using these resistors is finding a mounting point due to the size of the unit itself and the length of the wire connector. Once I got it figure out, all went well. Outstanding light output! I am going to install them on all of my cars! If you have a 2007 Dodge Ram and buy the head lights?.... You are going to need this load resistor to keep your headlights from flashing ...Mine would stay on bright with no flashing but on dim my lights would flash three times and shut off altogether. I read a review from a guy with an 2006 and He had the same problem. After installing the load resistor ... EVERYTHING WORKED GOOD AND I CAN SEE! Awesome lights well worth the $$$....seem to be made very good as well. Oh one other thing I did was to put some electrical tape on to tighten the lights up in the sockets and I was good to Go. Much needed kit and are great and tough quality. Look forward to using them often!